Post natal depression affects over 1 in 10 new mothers but is often hugely misunderstood or misdiagnosed as ‘baby blues’. For those with PND, it can be a hugely distressing time – feelings of immense guilt, hopelessness and confusion are common place. Dr Tamara Russell, Clinical Psychologist and Clinical Partner London, and Abigail Alfrey discuss treatment options for those with PND and the effectiveness of them in terms of helping mum and baby bond. February this year saw the publication of the Five Year Forward View for Mental Health (Centre For Mental Health, 2016), the latest of a number of government guidance documents to identify post-natal depression (PND) as a healthcare priority. 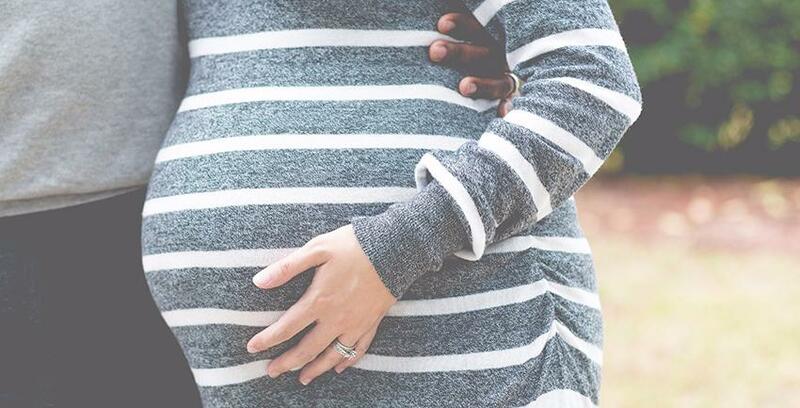 Affecting approximately 13% of women in each annual birth cohort (O’Hara & Swain, 1996), current estimates of the economic impact of perinatal mental ill health fall in the region of £8.1bn; approximately £10,000 per birth (Bauer et al., 2014). In recognition of this, the report calls for increased provision of psychological therapies; a call answered by the government’s pledge of £290 million to make access to specialist mental health services a “universal offer1 ”. No doubt this is welcome news to those falling within the 40% of localities that currently provide no perinatal mental health services at all (Bauer et al., 2014). Even if they are to make good on this ambitious offer, increasing access to therapies will not solve the problem unless current pitfalls in service provision are addressed. At present, NICE guidelines2 advocate a high-intensity intervention (that is to say, psychological therapy) for women with PND, with particular reference made to CBT; an approach recognised to be effective in treating depression (Cuijpers et al., 2013). So too are mindfulness-based interventions showing promise (Hofmann, Sawyer, Witt, & Oh, 2010), including mindfulness-based cognitive therapy (MCBT; Williams & Kuyken, 2012). Indeed, the current consensus in the literature is that psychological therapies are effective in reducing symptoms of PND (Ford & Smith, 2016), and further evidence suggests that this is the treatment option preferred by women in the perinatal period (Goodman, 2009). However, whilst such therapies are effective in treating the mothers’ symptomology, there is little evidence that they do anything to improve the parent-child bond (Forman et al., 2007). This shortcoming cannot be overstated. According to researchers at the London School of Economics, 72% of the cost of PND relates to the impact of maternal ill health on child development (Bauer et al., 2014). For example, studies have indicated that, compared with their peers, children whose mothers have PND are more likely to be born of lower birth weight, to have poorer cognitive attainment, and to develop anxiety, mood, or conduct problems in later childhood and adolescence (Bernard-Bonnin, 2004). These latter difficulties might be attributed to the reported association between PND and insecure attachment formation (Cicchetti, Rogosch, & Toth, 1998). To add to this bleak prognosis, Pawlby and colleagues (2011) found that children of depressed mothers were at approximately four times greater risk of childhood maltreatment. Proposed mechanisms include a lack of maternal emotional availability; lifestyle effects such as poverty or familial instability; and the infant exhibiting difficult to manage behaviours, driven by developmental abnormalities (see Ge et al. 1996). With evidence that these effects are passed from generation to generation (Berlin, Appleyard, & Dodge, 2011), the impact of PND seems set to rise. Fortunately, there is some evidence that psychological therapy specifically targeting mother-infant interactions can have positive effects on attachment formation (Cicchetti, Toth, & Rogosch, 1999). If we can design further interventions that combine the effectiveness of psychological therapies at reducing depression with techniques aimed at facilitating early bonding, we have a very real opportunity to break this intergenerational cycle. These services must be accessible, given the limited physical and emotional resources a mum with PND will likely have (Webb et al., 2008); and appropriate, that is, they should fit with a mum’s priorities and preferences (Goodman, 2009). This might mean providing a crèche, for example, as 33% of mums in Goodman’s survey reported arranging childcare as a primary barrier to accessing treatment. Other suggestions include offering a choice of appointment times3 , and providing text-message appointment reminders (Sims, 2012). Importantly, it also means making services engaging - ideally, even fun. This is where creative therapies are leading the field. Leckey's (2011) systematic review indicated widespread agreement across the literature as to the “healing and protective effect [of the creative arts] on mental well-being” (p.506). Variegated benefits are quoted, from reduced depressive symptoms to improved immune response, and note is made of the potential social benefits inherent to creative group activities. Above all, as Camic (2008) states, engagement with the creative arts is intended to be “stimulating, motivating [and…] enjoyable” (p.288). In short, there is much to recommend further exploration of creative therapies; something Clinical Partners’ psychologist Dr Tamara Russell is keen to capitalize on with her latest enterprise. Combining the benefits of creative therapies with the evidenced effectiveness of mindfulness in alleviating depression (Hofmann et al., 2010), Russell’s latest project will pilot a ten week group intervention that uses textile work to teach the basic principles of mindfulness. Delivered in partnership with London charity Cocoon Family Support4 , Weaving a new story: a project investigating how mindful textile work can support mothers with post-natal depression, is a collaboration between King’s College London’s Department of Neuroimaging and Liz Finegold, supported by the Cultural Institute at King’s. This project has been designed to address the limitations of other interventions for PND. In particular, activities have been designed to promote mother-infant bonding. Participating mums will have the opportunity to create sensory books to share with their infant, and they will be encouraged and supported to apply their new mindfulness skills at home with their baby. After the course, participants will exhibit their work at a London art gallery. This move mirrors other London-based mental health interventions such as The Alchemy Project and Raw Sounds in the use of public performance as part of an integrated recovery model. By exhibiting their work, it is hoped that mums will gain a sense of accomplishment and pride, and begin to replace any unhelpful labels or associations based on their symptomology with more positive ones, based on their creative skill-set. To learn more about the project, please contact Dr Russell via e-mail at tamara.russell@mindbodymot.com. Recruitment will begin early in 2017, following full ethical approval from King’s College London. More details can be found online via the Mindfulness Centre of Excellence, and you can keep up to date with the project by following @SewMindful on Twitter. Clinical Partners is the UK’s largest private partnership, with 21 nationwide clinics. If you, or a loved one, is struggling with PND please call 0203 326 9160 to see how we can help. Bauer, A., Parsonage, M., Knapp, M., Iemmi, V., Adelaja, B., & Hogg, S. (2014). The costs of perinatal mental health problems. Centre for Mental Health. Centre For Mental Health (for NHS). (2016). The five year forward view for mental health. The Mental Health Taskforce, (February). Cuijpers, P., Berking, M., Andersson, G., Quigley, L., Kleiboer, A., & Dobson, K. S. (2013). A meta-analysis of cognitive-behavioural therapy for adult depression, alone and in comparison with other treatments. The Canadian Journal of Psychiatry / La Revue Canadienne de Psychiatrie, 58(7), 376–385. Ford, E., & Smith, H. (2016). Effectiveness of Psychological Interventions for Postnatal Depression in Primary Care: A Meta-Analysis. Annals of Family Medicine, 463–473. https://doi.org/10.1370/afm.1967. Hofmann, S. G., Sawyer, A. T., Witt, A., & Oh, D. (2010). The effect of mindfulness-based therapy on anxiety and depression: A meta-analytic review. Journal Consulting Clinical Psychology, 78(2), 169–183. https://doi.org/10.1037/a0018555. Leckey, J. (2011). The therapeutic effectiveness of creative activities on mental well-being: A systematic review of the literature. Journal of Psychiatric and Mental Health Nursing, 18(6), 501–509. https://doi.org/10.1111/j.1365-2850.2011.01693.